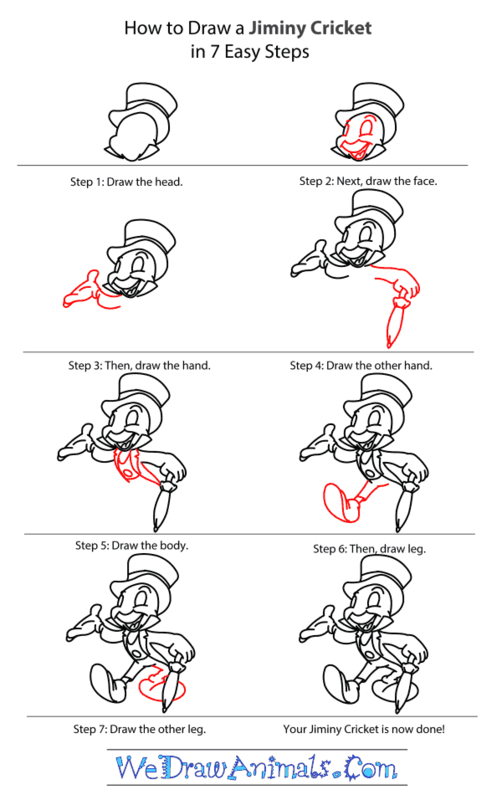 In this quick tutorial you'll learn how to draw Jiminy Cricket in 7 easy steps - great for kids and novice artists. 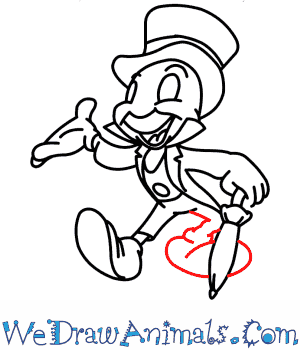 At the bottom you can read some interesting facts about the Jiminy Cricket. 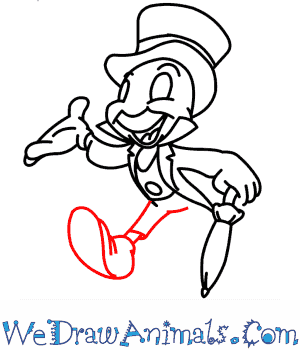 Jiminy Cricket is a member of the Disney casting group from the largest retail franchise in the world. 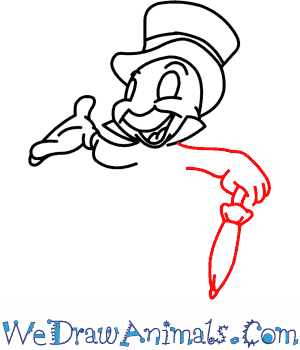 The characters began being designed during 1923 in Los Angeles by Walt Disney, an American illustrator. They were featured in live-action film production, television, and theme parks. The sensation inspired an expansion of its existing operations and making an addition of theater, radio, music, publishing, and online media. 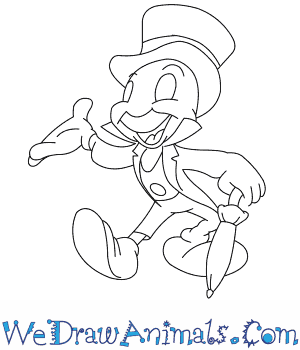 This character was featured in the animated film Pinocchio in 1940. The movie was inspired by a novel called The Adventures of Pinocchio written from Italian author Carlo Collodi in 1883. 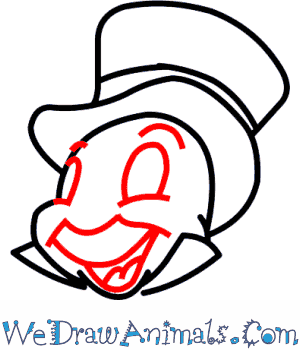 Jiminy is a name given to the cricket in the film but not the book. 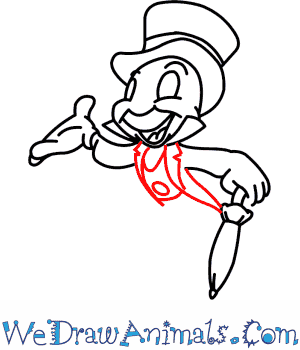 The story’s main character is Pinocchio who is taught by the wise cricket. In the movie he is a light brown insect with matching pants, high white collar with matching gloves and socks, yellow scarf, dark blue shoes, light blue hat, purple umbrella cover, red vest, and black coat. 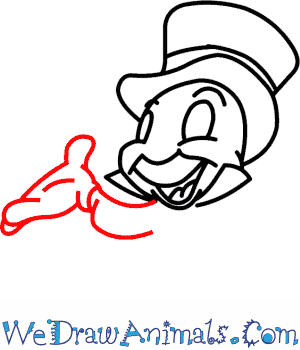 The Disney company is well known for their products of its film studio. They own such television networks as ABC, A&E, ESPN, and Disney Channel. Other acquisitions involve merchandising, Dow Jones membership, and 14 theme parks around the world. 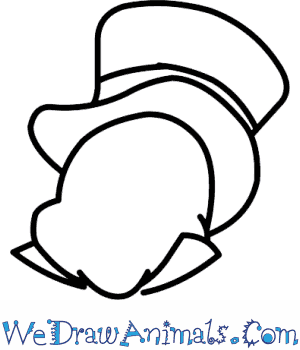 While there are many characters associated with them, the first creation within the business was Mickey Mouse, now the symbol of The Walt Disney Company.